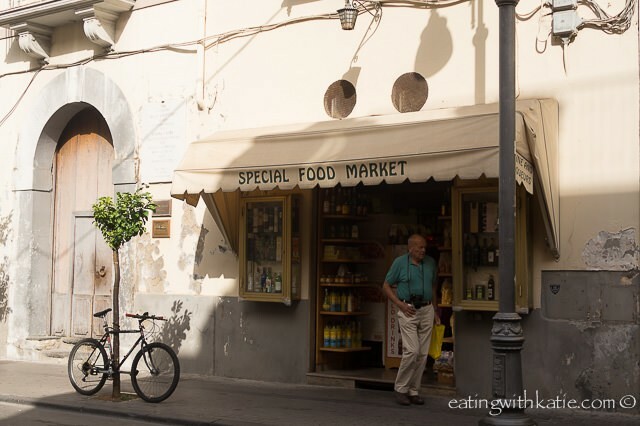 Katie ate her way through Sorrento Food Tour! Eating with Katie is the website for Melbourne, Australia food blogger Katie. Visit her blog at eatingwithkatie.com, it’s filled with delicious recipes, beautiful photos and travel stories that will inspire you. Thank you for the visit-ciao! We met our guide from Sorrento Food Tours outside a beautiful old church easily located in one of the town piazzas. As it was 10.30 in the morning we started with a pastry dish that is light as a feather, beautifully crisp and filled with soft pillows of cream.You will have to imagine it in your mind because unfortunately I was too caught up in my blissful eating to get a photo. Our mid-morning start meats that we slowly eased our way into eating and our next stop was a great way to step into the savoury side. 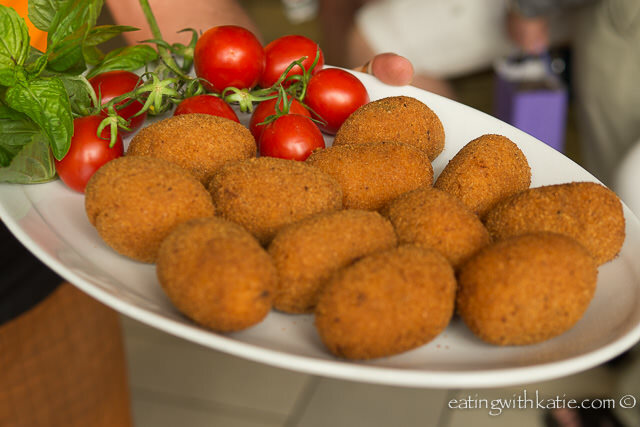 We are in the south of Italy so when we stop in at a local cafe we are each given a pall’e riso – the Southern Italian version of an arancini ball. They were perfectly golden and filled with a rich creamy, cheesy rice. 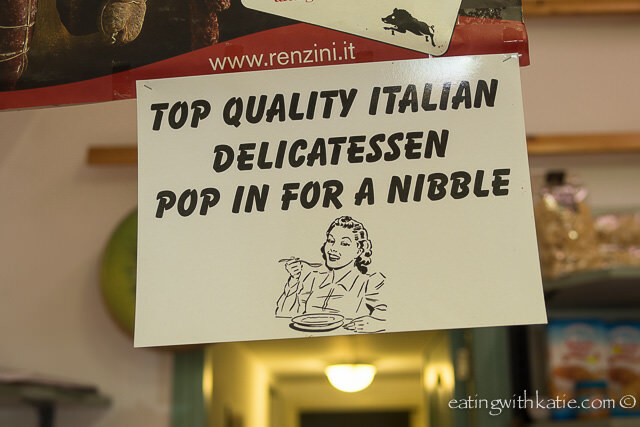 One of my favourite parts of our Italian holiday was the prosciutto, so I am pleased when we were told our next dish is a panini filled with prosciutto and mozzarella. 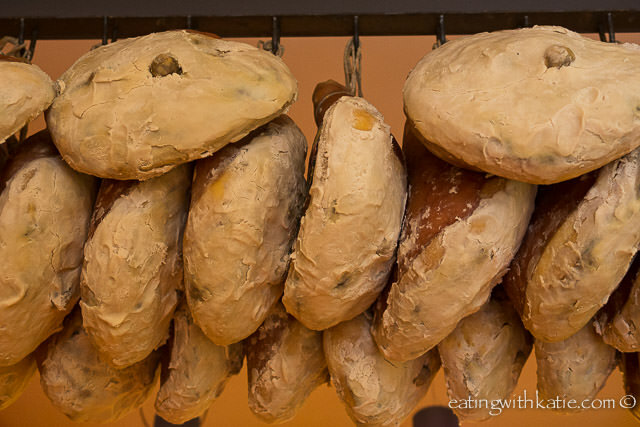 As we entered the restaurant, we were greeted by the sight of hanging prosciutto -in my mind utter bliss and the perfect thing to see as you walk into any venue. We were shown the kitchen and given a display of how the panini dough is prepared and eventually cooked which looks like, and is, back breaking work. 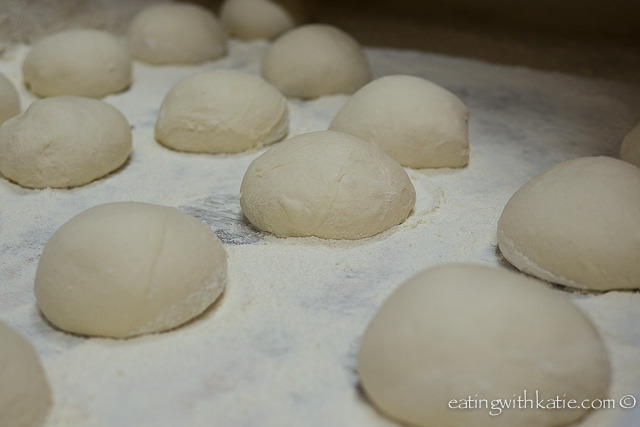 The smell of freshly baking dough made my mouth water and I couldn’t wait to try the finished product which is famous in the area and so good that it “jumps in your mouth” i.e. is absolutely bursting with flavour and general deliciousness. 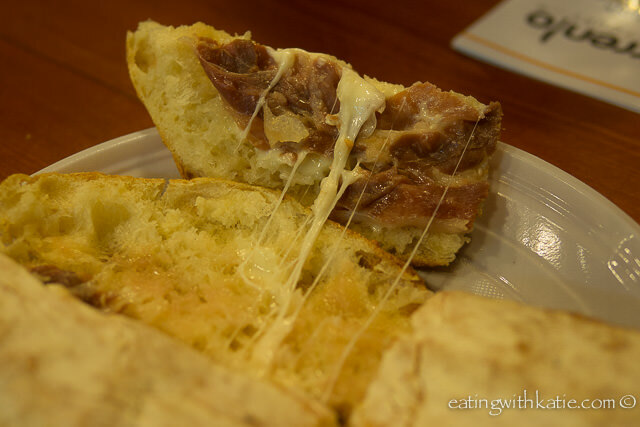 The dough was crunchy on the outside and marshmallowy soft inside and the salty prosciutto and creamy buffalo mozzarella were a winning combination. 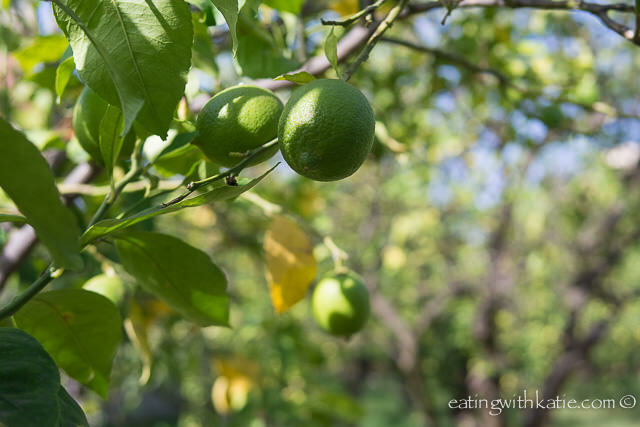 After three tasters, with our stomachs satisfied, we made our way across the road through an orchard of lemons to try some limoncello and other aperitif delights. 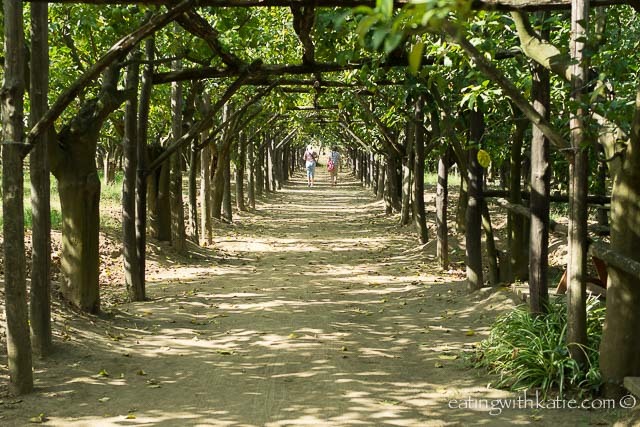 Limoncello originated from the Sorrento coast and as we walk through the orchard of huge and fragrant lemons it is not hard to see why. We sat down in the sun and tried a variety of liqueurs all of which were very strong, and though tasty it was too early in the day for me to be trying them. Our lemon and liqueur tasting was not over as the next destination was the factory where the limoncello is produced and we got to peek into the factory room before trying some delicious gelato. 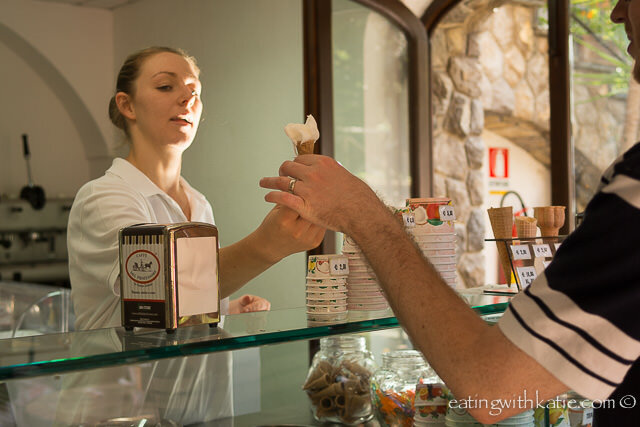 One of the interesting titbits I got from our stop, was that good quality gelato is displayed in covered silver tubs – almost bain marie like, and is rarely seen in huge mounds. 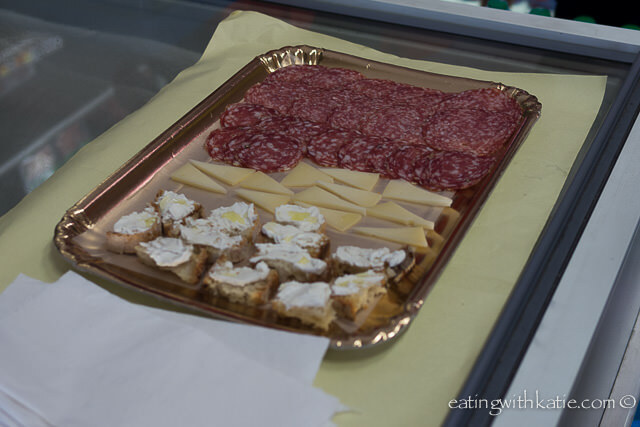 Our tour continued on to a local delicatessen where we tried some local beer and more prosciutto and buffalo mozzarella (be still my beating heart). It was here that we got to glimpse into where the locals do their food shopping as there were loads of produce and seafood shops around as well. 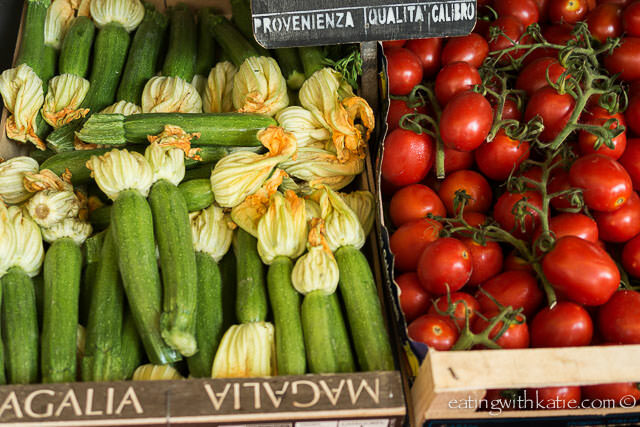 This I think, is one of the highlights of travelling – immersing yourself into the daily local life and culture. A leisurely stroll and we had a sit down meal (yes more food) at a local restaurant before finishing with another cone of gelato. This was a delightful experience and one on the highlights of our trip. My biggest piece of advice would be to go on an empty stomach!